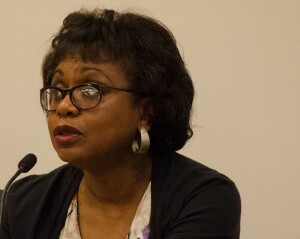 A University of Oklahoma law professor, Hill accused Supreme Court nominee Clarence Thomas of sexual harassment and testified in sensational televised hearings during Thomas’s Senate confirmation in 1991. Thomas denied the charges, which triggered long Senate debate, but failed to block his elevation to the high court. Hill was both widely praised and condemned for speaking out. She went on to become a professor of social policy, law, and women’s studies at Brandeis University.